It’s been two decades since the greatest year for PC gaming: 1999. Perhaps it was the fear of imminent annihilation from the Y2K bug, but never before or since have so many groundbreaking, genre-defining and defying games been released at once. In 1999, Counter-Strike and Team Fortress Classic founded the team-based shooter. EverQuest launched a thousand MMO addictions. The Longest Journey was the Last Good Adventure Game. Planescape: Torment wove an interactive story that remains unequalled. 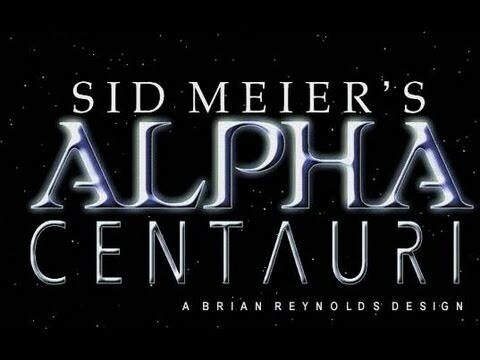 And Sid Meier gave us his magnum opus: Sid Meier’s Alpha Centauri. For some time, Alpha Centauri was the undisputed greatest game of all time. It topped countless lists of the greats, and for many it is still unsurpassed, especially in the 4X genre. What kind of game casts a 20-year shadow? Alpha Centauri was the spiritual and narrative sequel to Civilization, picking up after a Civ match has been ‘won by launching a spaceship to another star. In Alpha Centauri’s story, this was less a triumph of technology and more of a necessary escape from an Earth that had been torn apart by environmental catastrophe. Life on the new planet wasn’t about to get any better, however, since the colonists split into seven philosophically distinct factions prior to their arrival, and founded seven different colonies around the planet. Where modern games often claim to let the player do anything and be anyone, Alpha Centauri is notable for its specificity: the strong personalities of its limited roster of faction leaders, its relatively linear storyline, and its highly-developed setting -the alien planet Chiron, usually just called Planet. Planet is not a welcoming, verdant utopia. Life for the Earthlings begins there as bare survival, and each faction believes their own ideology to be the most suitable. Civilization VI drew from this idea in building Agendas that made civilisation leaders behave at least a little bit like their historical counterparts. But the Civilization series has always revelled in rewriting history, letting the player tell their own anachronistic story of Canadians, Swedes, Maori, and Japanese at war. In a game of Alpha Centauri, the Gaians are instantly recognisable on the map thanks to the verdant forests they always cultivate around their cities, and the Spartans will always be a military threat. Predictable, yes, but also creating a more richly realised world. In having such philosophically distinct factions, only Endless Legend has made a similar attempt, even expanding the idea by giving each faction truly distinct goals and restrictions: among these, the Necrophages can only gain resources from their enemies’ corpses, while the Roving Clans can move their cities but can’t declare war. Like Alpha Centauri, Endless Legend used those differences to tell a sharp story for each faction that even tied into the studio’s other games to create a shared universe. These stories were unique to the factions, however, whereas Alpha Centauri’s story was much, much bigger. It wasn’t just the factions that gave Alpha Centauri its sense of life. The Planet itself was a character. As players progressed down a complex tree of realistically speculative future tech, they gradually discovered that the planet wasn’t metaphorically trying to kill them – it was actually beginning to achieve sentience and was very deliberately trying to kill them. 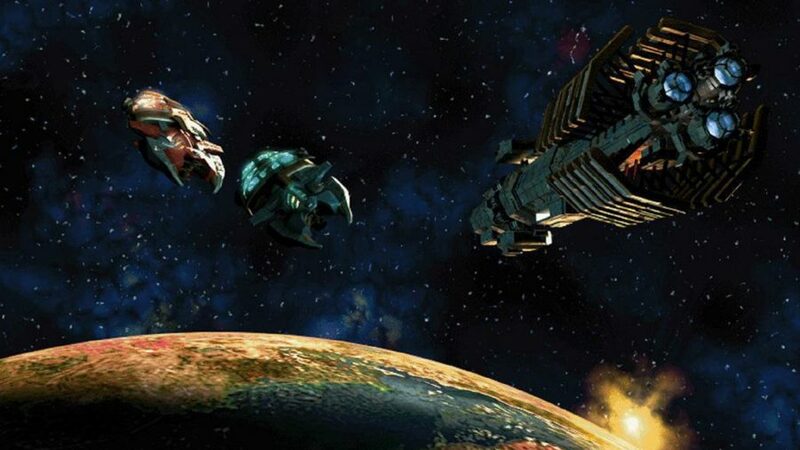 The player had to decide how they would handle the living Planet, and they made these choices simply in the technologies and structures they chose to develop or not develop. It’s mystifying how other 4X games haven't copied terraforming, although Civ VI did at least takes natural disasters seriously. In Alpha Centauri, the z-axis isn't cosmetic: raising and lowering the terrain has ecological consequences, redirecting the flow of rivers, for example. It even allows the player to wage ecological warfare. Ever wanted to deliberately melt the polar ice caps to drown your opponents' coastal settlements? By doing so, Alpha Centauri achieved what no other 4X game since has done: writing a powerful, affecting, yet linear story into its gameplay. The story of the awakening of Planet is the same each time, and the squabbling of Earth’s factions is the War of the Seven Kingdoms that happens in the foreground. 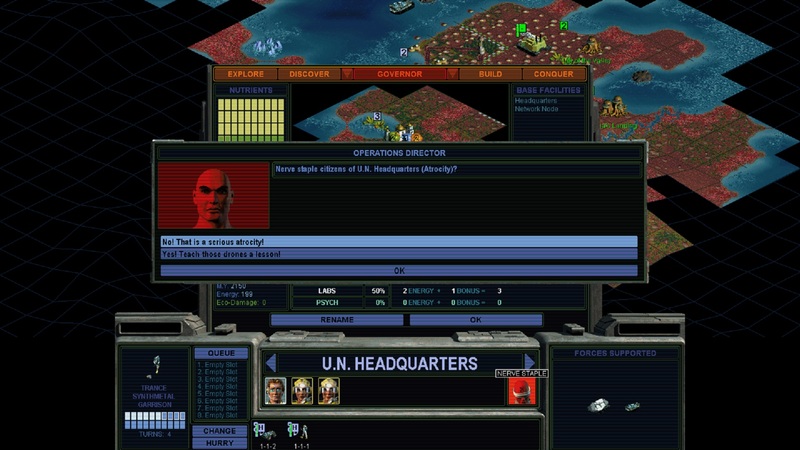 In the end, the player must choose their relationship with Planet as much as they must choose their human allies and enemies. This is where Civilization: Beyond Earth faltered and why it was such a disappointment to those who had played Alpha Centauri in the past. The alien world of Beyond Earth was generically alien, with random floating purple islands and green bug monsters. Its civilisations were amalgamations of real-world polities that barely made sense. Alpha Centauri is a 4X game, so by definition it gives the player a lot of choice – more than many in the genre. 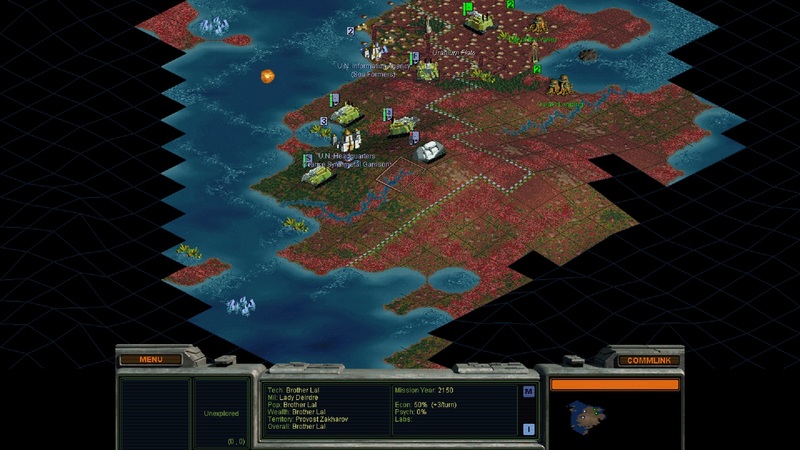 The game does feature four possible victory conditions and a robust unit designer lets the player mix-and-match technologies they’ve developed into their most useful applications. But what makes it special is what the player can’t change: the story of seven factions that can’t see eye-to-eye and the Planet they need to survive. Alpha Centauri balances freedom with a sense of place and purpose, giving choices far more weight than any 4X game has given them since.